Blurry vision is a common reason for people to visit an optometry clinic. Here in Boston, Lickteig Family Eyecare treats people who are already suffering from this symptom, as well as people who may have other conditions or just need a checkup. The most common causes of blurry vision are refractive errors. These occur when the eye is slightly misshapen and thus the lens bends the light not quite the right way for clear vision. Nearsightedness, farsightedness, and astigmatism are examples of refractive errors. They are not dangerous, but will not improve without vision correction, either. Normal changes in the flexibility of the lens as you age causes a condition called presbyopia, which results in blurred vision close-up. 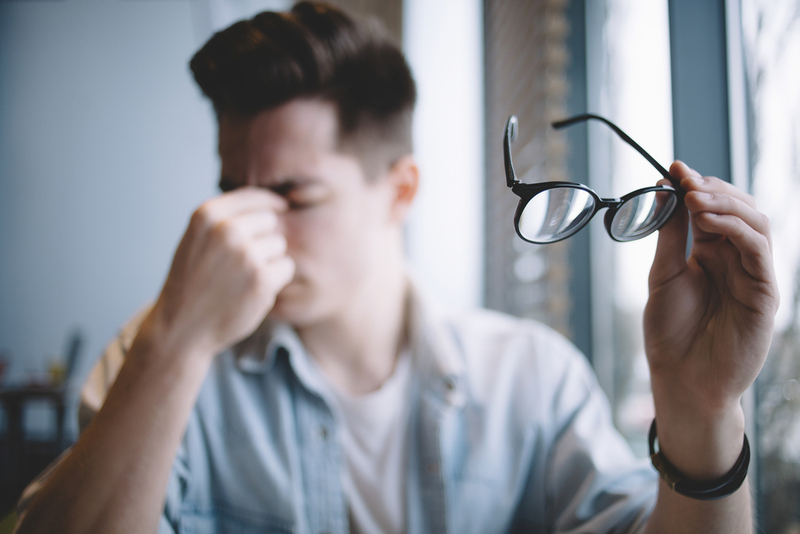 Blurred vision that is intermittent may result from tiredness, eyestrain, computer vision syndrome, dry eyes, or migraines. Pregnancy may also cause blurry vision, as well as certain medications and over-wearing your contact lenses. The last three tend to result in blurry vision that occurs rapidly, rather than slowly over time. If you have sudden blurred vision without any other symptoms, see an optometry clinic immediately. If you have sudden blurred vision and other symptoms, seek emergency medical help. Visit the eye doctor regularly! It is very important to visit your eye doctor regularly because many of these conditions can be diagnosed before they have any symptoms. Starting treatment at this early stage can help prevent vision loss. Whether you have blurry vision or just haven't been to an optometry appointment in a while, Lickteig Family Eyecare is here to help. We serve clients in the Boston area at our four clinics. Call us today at any of our locations or use our online scheduling system to request an appointment!